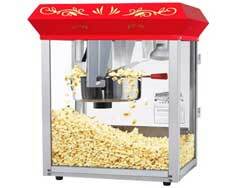 Party Rentals Miami - We service, Miami Dade - Broward County and also West Palm Beach! Learn How To Navigate Our Party Rental Website By Visiting Our YouTube Channel! Thank you for visiting Nicky Party Rentals Miami Company. 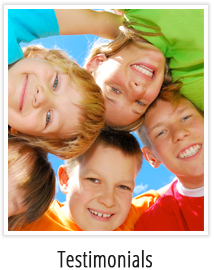 Widely known as the most popular party rentals firm in Miami, that you and your family deserve. You would question how do we do this all? Its very easy, We will always answer the phone from 8am to 10pm, 7 days a week. We are very patient in answering every question you may have. We will give you affordable price in town. 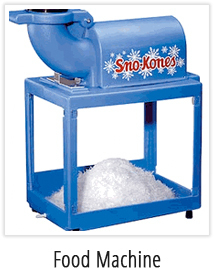 We guarantee that the equipment is very clean and in excellent conditions. We will never be late on our deliveries. Once we are done with your reservation, we will send you a detailed e-mail or fax of what will be deliver at your party. Kid's celebrations are very important to keep the family together during does special moments. So we as parents we complicate ourselves with the many options and trying to make sure all goes well in the party. One solution for such events are the theme party celebrations. Theme parties are quick a simple to get started, So let's get started on a aqua team party. 1.Rent a water slide with water colors like aquaman or dolphin. 2.Make your balloons blue and aqua green and throw in images of aquaman or any other heroes or caricatures you will be using. 3.The cake should also bring in the colors and the images of your characters. 4.Make sure your goodie bags also bring in the images of the theme. 5.The gift table should also bring the colors of the water slide to make the aqua theme more promident. 6.Cups and plates should be decorated with water colors to give it that look that you want for a theme party. Note: Make sure you let the guest know that your party is about water so they can bring costumes that match the party. Hopefully this tips help at your next theme party. 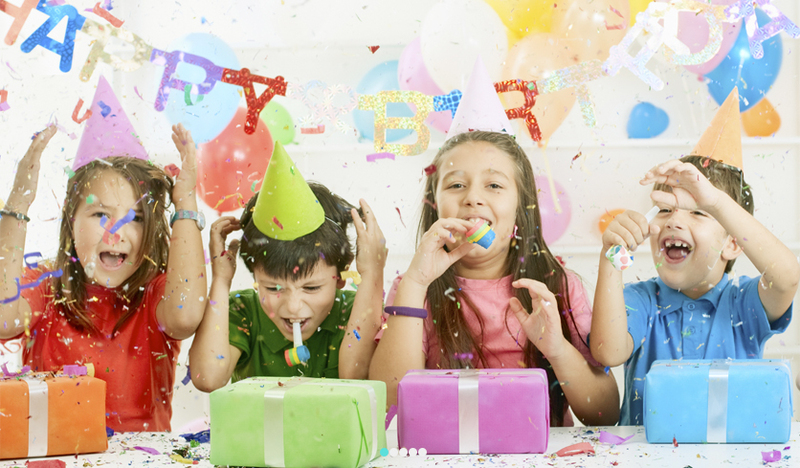 There are just a predetermined number of paramount birthday parties you can toss for your youngsters. At the point when children are extremely youthful — between the ages of two and seven, for instance — they are actually going to be excited by whatever sort of gathering you have for them. At the point when youngsters get more established, in any case, it turns out to be increasingly hard to awe them with bounce house rental parties. 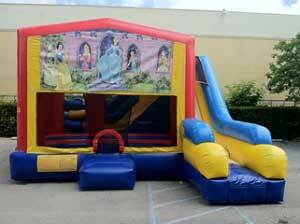 Picking the right bounce house rental company in Miami is significant to an incredible gathering. We come to realize that by giving you good party rental packages that include your bounce house rental you will be saving money and adding more entertainment. Examples are the special packages like the 1 bounce house 13x13 and 1 food machine special that we have could make your party memorable. Besides the packages, picking out the bounce house suited for the right age is another thing to consider. I don’t recommend to rent a bounce house like a “sesame street bouncer” to a 10 year old so choose wisely. 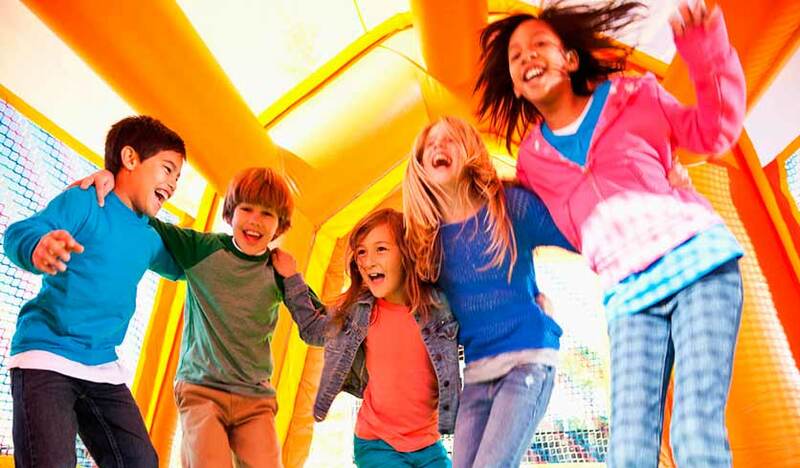 By adding a money saving package to your party and making sure your bounce house is age appropriate you will provide an event your child can be proud of. When you lease a bounce house it implies definitely no work on your end. A Nicky's party rental expert will go to your area, set up and tidy up the bouncer after your rental period has finished. This incredible Bounce house rental alternative can likewise spare you cash on gathering arranging when a wide range of party facilities can cost a fortune. A reasonable, simple and exciting inflatable Bounce House rental party is certain to delight both kids and grown-ups for almost any event that you can consider. Sit back, unwind and look as your inflatable Bounce House is set up just before your eyes! Bounce House rental Miami birthday gatherings are a fabulous impact! What better approach to a great birthday than by giving them and their buddies a chance to jump around on an inflatable slide or bouncer? All it takes to make a child's birthday great is a bounce house from Nicky's party rental. 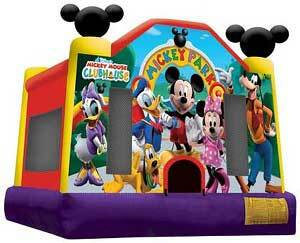 We have a huge selection to choose from starting with the Disney bounce houses that include mickey and minnie. We also have toddler jungle for the little ones and much more. Party Rentals Miami Nicky, what’s so great about us? Let’s start with the fact that Miami Nicky is a BBB accredited business. What does this mean to you the client you may ask? Well a BBB accredited business gives you the assurance when choosing our company for your party rentals Miami needs and services. BBB has over 100 years of trusted goodwill in all forms of commerce. Accreditation is by invitation only. Many companies are not eligible to join, only if your business has the highest standards for your industry in service and quality. Another thing is the amount of fun services we offer is huge! 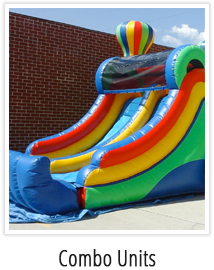 We offer the following bounce houses, water slides, concession machines, Combo Units and more for the kids. We also offer items to prepare you for events such as baby showers, quinces, and business gatherings. We have LED Bars, Tents, Dance floors, Chairs and Tables, Dj’s and much more. Miami Nicky has long been a staple of fun in the Miami area. You can check our costumer reviews and find out how we are the best in Miami FL. We have over 1,690 likes and a 5 star rating on Facebook. We also have 40 reviews in Google reviews with a 4.8 stars out of 5, giving you the peace of mind for your party rental event in Miami FL. 5 stars on YELP so we assure you satisfaction with our bounce house rentals and other products. Our customer service is top notch; we know how to listen to our clients to make their ideas come to life. If you want a water slide by 3:00 pm we will have it there at 2:55. If you want an exact bounce house like a Dora bounce house or princess then that’s what you will get! Who says we can’t help you create a great party on a budget. Our packages are economical if you are on a budget; with the help of our party planner experts we will make sure you have a great party. 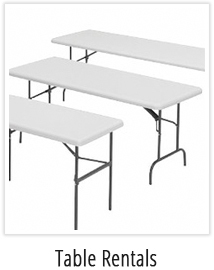 One of the most important things is the fact that we only bring you high quality, clean, sanitized party rentals equipment. You should hear the horror stories of embarrassment clients from party rentals in Miami companies that sent out dirty old bouncers, tents and other equipment. We inspect our equipment before it goes out to you so you won’t get a ripped tent or a broken table or any other product that’s does not abide to highest levels of quality. Knowledge of how the equipment works and under what conditions it works is one of our top priority here at Miami Nicky. Imaging lighting that doesn’t work well with your decorations? Well here at Nicky’s we are passionate and experts on all things party. So don’t wait any longer let’s get together and start planning your next party! Call or email us directly today! When you Google Bounce house rental Miami for your kids’ birthday party, make sure they don’t get more than just a party and gifts. What am I talking about? 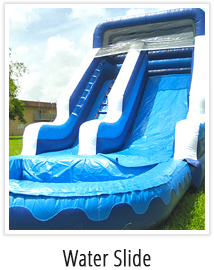 If you go into our Facebook @ you can always see us cleaning our Bounce house rental Miami equipment. We have heard horrendous stories of how some kids have gotten infections after renting bounce houses in Miami and in the country in general. 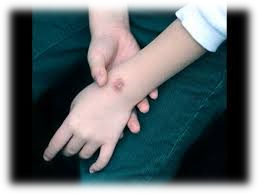 One of the worst is the staph infection, this infection can cause a great amount of diseases like food poisoning, boils and much more. Here is an example of what can be in the bounce house rental Miami equipment. Dirty party rental equipment can give you illness. Make sure the party rental Company you get is very adamant about how they sterilize and clean their equipment. 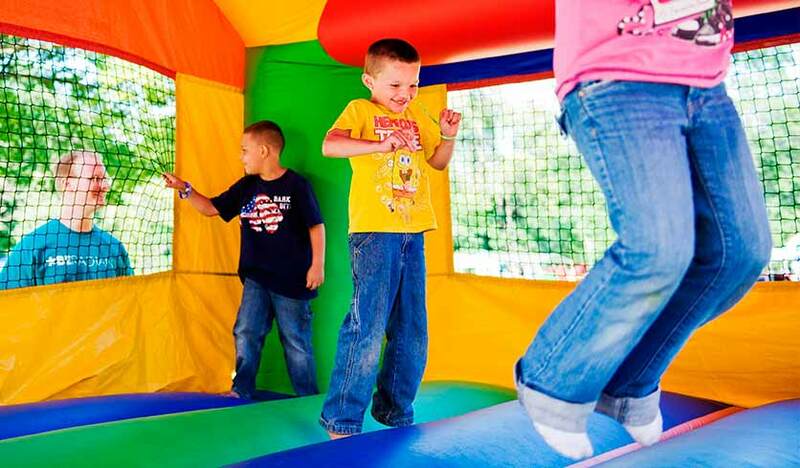 Like wrestling mats bounce houses are prone to this and other bacteria and viruses. 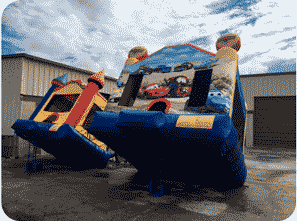 Bounce houses, water slides and combo equipment should be clean after every use. We here at Nicky’s are clean freaks so when you hire us we make sure our bounce house rental equipment looks great and disease free. We are not trying to scare you here at Nicky; we know that injuries happen in other types of activities like skateboarding, sports, and other outdoor activities. We just want to educate you the parents to make sure you do everything possible to prevent this from happening as much as you can. So how do we prevent injuries from happening? The best way to prevent injuries from happening is making sure the kids are supervised; yes nothing is better at preventing these unfortunate events then supervision. Make sure the bounce house can only be used by kids older than 6 years. The smaller ones should be in a toddler bounce house to prevent them from being trampled by the bigger kids. The next thing we recommend when you rent a bounce house is that you make sure every kid takes off their shoes, jewelry and sharp objects they might be carrying. Do not allow rough play like wrestling and flips and keep the kids away from the entrances, walls and exits of the bounce house. If the bouncer begins to lose air take out all the kids and call the company or the worker if available. So with these tips hopefully you will have a great time. 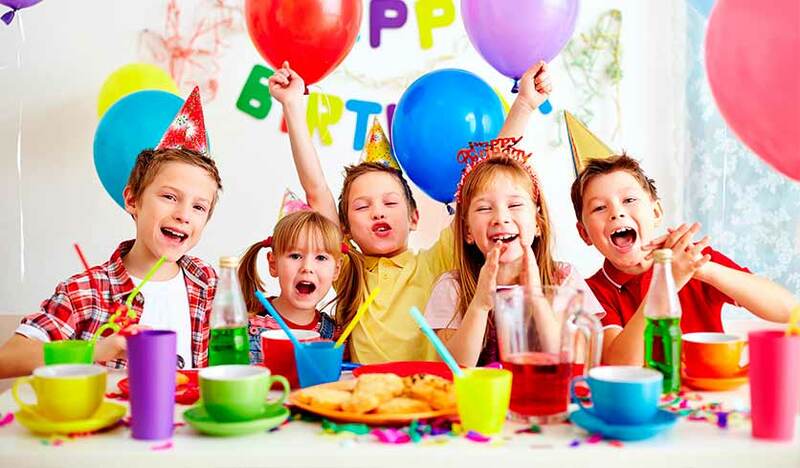 So if you are going to do a party for your kids Google up bouncer rental Miami and look for Party rentals Miami Nicky and call us, like that you won’t have to worry about infections and injuries since we are pros at making a great party for your kids. Party Rentals Miami, How to Do It on a Budget! So you are on a budget? Wow, let’s get excited about making your party with party rentals Miami! Making a party for your kid and making it look like Disney World is possible by looking at this company, Nicky Party rentals. It’s great, from the bounce house specials to the waterslide rentals this party rental company can be the best option for you. Let your kid’s imagination run wild and leave them with a cool memory of their childhood. Making a party in Miami shouldn’t be a stressful situation. 7 Great Tips, there’s are so many ways to save. 1- Instead of sending party postcards or letters send a great email. 2- Public parks are a must and if you have a big enough backyard even better. 3- Don’t go to a skating or bowling center because depending if its Friday or Saturday it’s going to cost you a pretty buck. 4- If you must do it on a bowling center then ask for a Sunday venue. 5- If you have an Xbox or PlayStation then have a small hearted competition. 6- Keep the menu simple; throw some hotdogs and hamburgers on the grill instead of big meals. 7- Forget about expensive water bottles and cans of soda and use pitchers of lemonade or Kool-Aid. Just because you are on a budget doesn’t mean that organizing a party rentals Miami can’t be an awesome experience. If you do it right with these tips your friends will be asking you for a little help when is their turn to throw a party. Also, remember that some parties can be very expensive. There are so many package specials at Nicky party rental that you can combine some and still have enough money to buy something else. In conclusion, don’t be afraid to ask around. You might go in to a dozen websites before you find the right one but it will be rewarding for your kid one you take your time. I’m not just giving you advice I also have two little girls and they love Dora the Explorer and Princess Bounce house. We’ll have a great party and jump all day or get wet all day kids and always remember enjoy these moments with your young ones! Some of the best parties are made from a bounce house rental Miami. Normally you rent the bounce house and the setup fee is for how many hours you wish to use it for. A bounce house is an inflatable structure that is used at kids' birthday parties, area fairs and different celebrations. The bounce house can run fit as a swindle from a straightforward encased bouncy range, and to many other different styles. For example, a combo house may be a stronghold, may have more than one story or level and could highlight a bob slide. If you like the water than what about a waterslide in this Miami weather would keep you cool and without the need of going to the beach. Also you can rent table, tents, chairs, general party items, a dance floor, food machine, and numerous other party decorations. Inflatable waterslides are intended for partiers that don’t like to jump around on a bounce house and moderately like getting wet. They are normally made of a thick solid PVC or vinyl, and nylon and are expanded utilizing an electric or gas fueled blower. The water slide is connected to a water hose keeping in mind the end goal to create the supply of water. 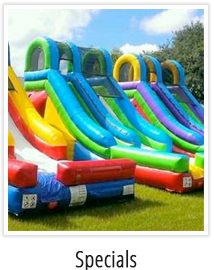 There are little estimated inflatable water slides for private house utilizes or bigger inflatable water slides for school, picnics, corporate, or celebration style use. There are additionally swimming pool water slides which clients can set up to slide straight into a pool. Why, because kids love to jump all day and night. 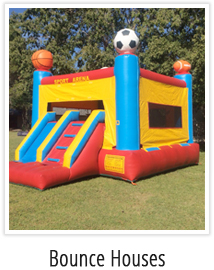 A little mermaid bounce house or power ranger bounce house are just some of the amenities you could find. Maybe that’s not what you’re looking for then most” bounce house rental Miami” has dozens of other type of elastic fun houses. The combo units have multiple components that make it larger than life and a fun factory for kids to play. There’s the 7 in 1 princess combo unit that’s massive in size and makes normal homes look small in comparison. 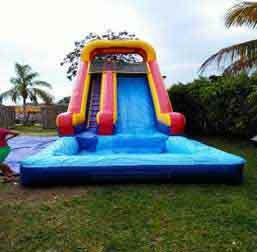 After setting up the bounce house or inflatable waterslide you also need other party items and you can find it at “bounce house rental Miami”. When setting tables or chairs to even putting a dance floor for about 20 guest and transporting food concessions machines to have happy guest eating. Even some will sell you the items at a reasonable price and services include clowns, face painting, mascot’s, and even event managers for hourly rates. What better approach to make your visitors feel welcome by having a great party and renting the items at a bounce house rental Miami. Especially when December is coming soon and everyone can have fun in the sun. It’s the feeling of relaxation and taking a well deserve break with an event or just celebrating the New Year. Only the right party rental can form a bond and a relationship with the customer. Bounce House Nicky is available for the following type of events. So what services do we offer for weddings here at bounce house Nicky? We bring you the best equipment for your event. 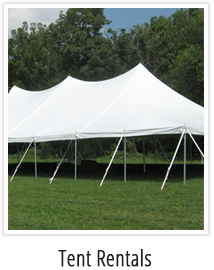 We offer tent rentals, we have from a 10x10 to bigger ones like 15x60. If you want something different than what we have on our webpage just call our friendly knowledgeable staff. We have the dark oak parquet dance floor, this dance floor is great for indoor or outdoor use. We have the white and black checkered dance floor made popular in movies, music videos, and shows. This style will make your event look grand! You can always go with the white dance floor or black if that’s more to your liking. Someone has to get the guest dancing, that is were out DJ & equipment comes in to get all your jam’s rocking. Whether you like Jazz, Hip Hop or Salsa we got you covered here at Bounce house Nicky. Besides the DJs we got led bars to get the wedding music and dancing going! 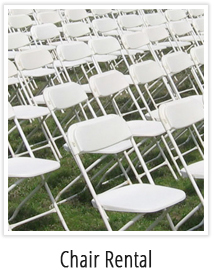 We have beautiful Chiavari chairs to have your guest sitting in style. Here is a little trivia that you will like about this popular chairs. The Chiavari also goes by Tiffany chair and Chiavarina in other parts of the world. 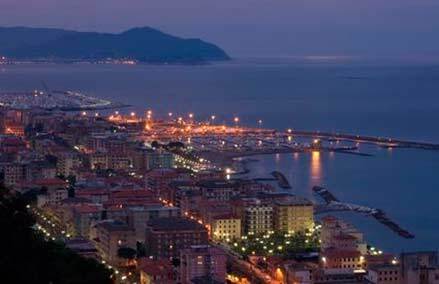 They were first designed by a cabinet maker from Chiavari, a small town in the Province of Genoa Italy. They were designed in a French Empire style and were a big hit around their introduction in 1807. So yes, if you want your guest to sit like royalty rent out some of these chairs here at Party rental Miami Nicky. We also have Chiavari for kids and Chiavari bar stools for rent. Here are some of the types of occasions our product and services are perfectly suited for. We work all of Miami Dade County FL and the surrounding areas such as Hollywood, Fort Lauderdale and Broward County. 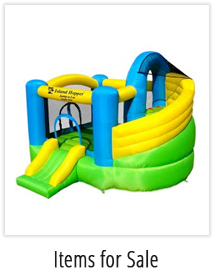 You can check out our water slides and bounce houses also on the website here. We will help you celebrate your events with great service and equipment. In reality, there is no limit on when to use our services. Even though we specialize in kids bounce house rental, we also put it down when it comes to grown-up events. As a party rentals Miami company we had been called for a few strange parties over the years. Today we will have some fun and go over some of these parties we help come to life. Don’t worry everything is PG here. We are a bounce house rental Miami company, we would never bring up adult stuff here. A doggy dog birthday party. We once had a called from a lady in Kendall FL that wanted to throw a party for her poodle named Tucky. She wanted a slip and slide rental and a DJ because the poodle likes dancing. When we got there we found ourselves surrounded by like ten different dogs and their owners. We say to each its own and if you want to treat your doggie like a king, why not right. A planet of the apes' costume party. There was one time we had to deliver some tables and chairs to a party close to bird road. When we got there everyone had these cool planet of the ape’s costumes. They had the theme associated with bananas, the cake looked like a banana. It was actually more cool than strange, but when you walked in you might have gotten a little spoke like us. We once got a call to bring a tent rental to a beach party on a secluded private beach in Miami. Now, this was kind of creepy. The guy told us that they were celebrating the coming of extraterrestrial beings, they were all dress in red. They looked like a very rich cult I tell you. This one was really strange, I got called to bring in some party furniture and a bounce house to a mansion a very nice exclusive part of Miami. When we got there I didn't see any kids, but we saw a lot of growned man with diapers and women feeding them from a bottle. We found this one very strange lol. We later found out that there are a lot of people that do this. Like we said before to each his own and as long as they don’t hurt anyone we are ok with renting our bouncers and equipment here in Miami to anyone.